This entry was posted in Marketing on March 2, 2018 by Shawn Nag. Computer graphics can be created as either raster or vector images. Raster graphics are bitmaps. A bitmap is a grid of individual pixels that collectively make up an image. Raster graphics are basically images created from countless tiny squares to generate one large picture. Each square, or pixel, is coded in a specific hue or shade. Individually, these pixels are worthless. Together, they’re worth a thousand words. However, because raster images are pixel-based, they suffer a malady called image degradation. Just like photographic images that get blurry when blown up, a raster image gets jagged and rough. Ultimately, when you look close enough, you can begin to see the individual pixels that comprise the image. Hence, your raster-based image of Wayne Newton, magnified to 1000%, becomes bit mapped. Although raster images can be scaled down more easily, smaller versions often appear less crisp or “softer” than the original. To maximize the quality of a raster image, you must keep in mind that the raster format is resolution-specific, meaning that raster images are defined and displayed at one specific resolution. Resolution in raster graphics is measured in dpi, or dots per inch. The higher the dpi, the better the resolution. Remember also that the resolution you actually see on any output device is NOT a function of the file’s own internal specifications, but the output capacity of the DEVICE itself. Thus, high resolution images should only be used if your equipment has the capability to display them at high resolution. Better resolution, however, comes at a price. 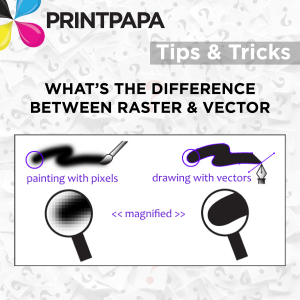 Just as raster files are significantly larger than vector files, high resolution raster files are significantly larger than low resolution raster files. Overall, as compared to vector graphics, raster graphics are less economical, slower to display and print, less versatile and more unwieldy to work with. Remember though that some images, like photographs, are still best displayed in raster format. Common raster formats include TIFF, JPEG, GIF, PCX and BMP files. Despite its shortcomings, raster format is still the Web standard – within a few years, however, vector graphics will likely surpass raster graphics in both prevalence and popularity. Inherently, vector-based graphics are more malleable than raster images – thus, they are much more versatile, flexible and easy to use. 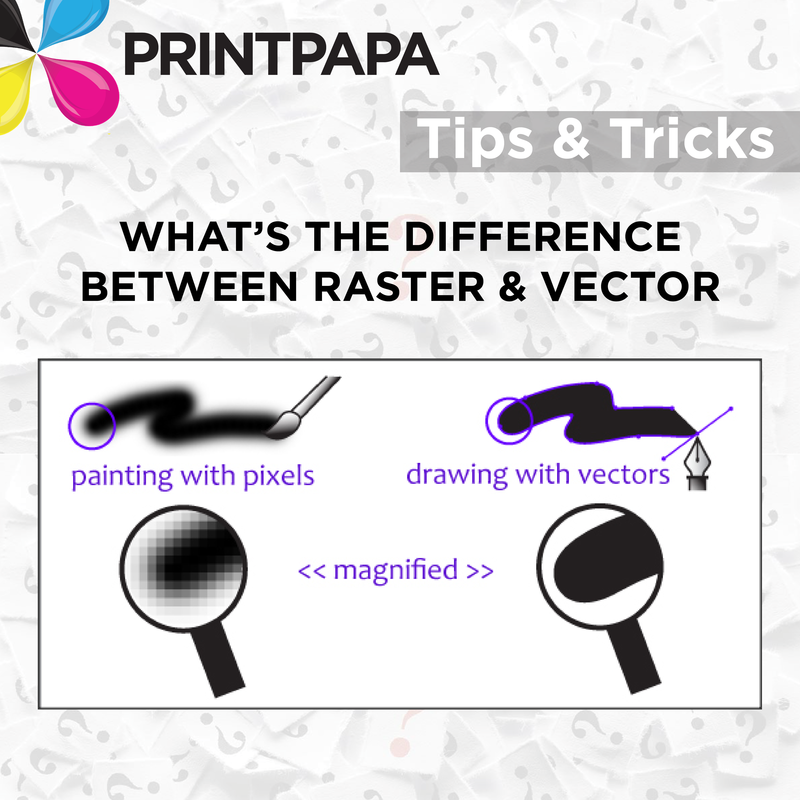 The most obvious advantage of vector images over raster graphics is that vector images are quickly and perfectly scalable. There is no upper or lower limit for sizing vector images. Just as the rules of mathematics apply identically to computations involving two-digit numbers or two-hundred-digit numbers, the formulas that govern the rendering of vector images apply identically to graphics of any size. This entry was posted in Marketing on February 16, 2018 by Shawn Nag. Posters & Banners are the most affordable means of advertising and most businesses don’t have a dollar to waste. What’s more, signs are always on the job for you, advertising 24 hours a day, 365 days a year. 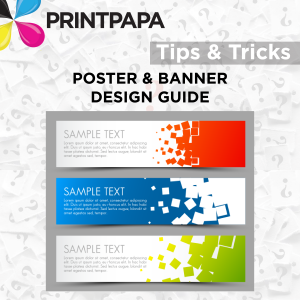 Choosing the proper Banner material is essential for lasting & durability. The right material will determine how long your sign will last; and what the look and feel of your sign is. If you want your banner to look good for an extended period of time ( ~ 3 months or more – particularly outdoors where the banner may be subject to wear and tear); you need to make sure your banner is at least 15 mil thick. For sizes up to 5ft, order from this Banner Section. If you need a larger size (from 5ft to 16ft) you can order here. 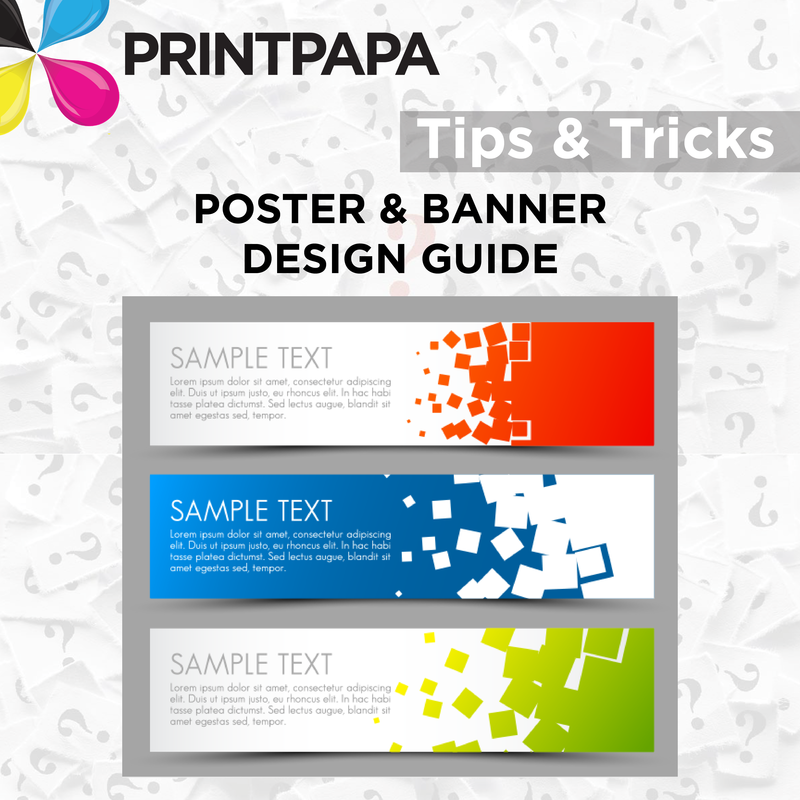 Design your banner or poster with some kind of catch phrase and be very crisp and precise. Too much text and too many images will confuse the viewer. Make sure the message is to the point. Use proper fonts and sharp images. Letter Size. Letters that are too small to read are commonplace in many signs today. For a quick reference on what size letters are needed for your sign; examine this visibility chart taken from the research conducted by the University of Pennsylvania State and the United States Sign Council. Color & Finish Contrast. Letters that blend in with their background become illegible at moderate distances. The amount and type of lighting, both artificial and natural, is important as well to overall legibility. White/Negative Space. Simply enlarging letters does not make them more readable. Proper letter kerning (the space between letters) and leading (the space between lines of text) have almost as much to do with legibility as letter size. Maintaining a high degree of white or negative space is important to keep the letters from running together or running into other distractions around the sign. Logos. Do you have a logo that fits well with your banner or poster? Inclusion of graphical elements or a logo should complement the sign message and in most cases not overpower the entire artwork. Some logos (Such as McDonald’s, Coca-Cola, etc.) are strong enough brands that virtually no text is needed for their sign-however this is not typical for most business owners who need to send some message to their intended audience. HOW FAR IS IT VISIBLE? A banner or poster that cannot be seen should not be created. Identify the type of traffic your sign is meant to attract (sidewalk traffic, downtown vehicles, or highway traffic, for example) and use the proper size, color, angle, lighting, and placement for maximum visibility. Many of the decisions relating to visibility are limited by your local sign ordinances; so consult an expert for this information. This entry was posted in Marketing on February 15, 2018 by Shawn Nag. What Is The Guideline To Proof Properly? Ok, so let’s say you’ve received a PDF Proof…what now?? If the proof is sent by email i.e. PDF Proof, then print it out on your laser printer and then proof read it, rather than proofing on the screen. There is less chance for distractions and it is much easier to proof. Involve a friend, colleague or family member to go through the proof also. A second pair of eyes always help and you will be surprised at what he or she finds that you completely missed. Do NOT rush it. Usually mistakes are made when you rush. Unless this is a rush print job where you need to send the approval ASAP, take your time to proof read it. Proof it a second time after few hours just to make sure everything is correct. Check to make sure the Phone Numbers, Name, Address, Email and Website are correct. We do NOT check for spelling or grammatical errors in your file. So you have to make sure that your content is correct. If you’ve used transparent objects, like drop shadows, special text effects, opacities etc. then make sure to check the PDF EXTRA carefully. 90% of issues are because of this doesn’t get looked at closely. Now days PDF files can be generated by almost any application for e.g. Microsoft Word, Power Point, Adobe CS 1 to 6 Suite and many more. All of them generate PDFs in their own way. To make sure they get printed properly, we have to process your PDF file through our preflighting software. 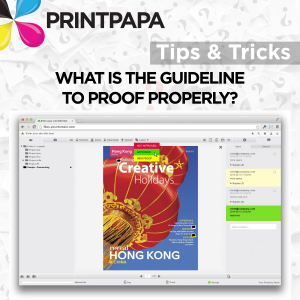 This special software makes sure that the PDF is at a certain standard for proper printing. Sometimes not everything on your file gets handled the way it should so the PDF you generated and the one we preflighted may be different. This is why its always a good idea to check the file carefully and make sure all the graphic elements, special text effects and other artwork are showing up properly in your PDF Proof. Check your file to make sure there is no text or critical art very close to the edge of the paper. There maybe a chance of that getting cut off. 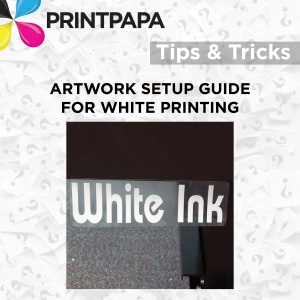 Color Critical: This is one of the hardest thing to do for ANY printer. If your job is color critical then you need to discuss that with us. We print to industry standard and none of our Proofing methods guarantee any kind of color accuracy. We print to Gracol G7 Standards, but colors depend on various things – Paper, Print Process and more. If your job is extremely color critical give us a call to discuss the available options. If this is version 1 of whatever you are ordering, go for a smaller quantity. That way even if you missed something after receiving the job, you can change and then place the big order. Lastly, once you are done reviewing your PDF, make sure to Approve or Reject the Proof through our online system. If this is an Online PDF Proof then you can do that online. If it is a Hard Copy Proof then follow the steps mentioned on the document when you received the Proof. This entry was posted in Marketing on February 6, 2018 by Shawn Nag. How do you thank your customers for giving you business? Do you simply write a small note below the invoice? Or do you feel that the quality of your service is enough to impress the customers? One thing should be said in this respect, you are not the only good service provider in your niche business there must be many more other companies. So sending an impersonal note that lacks any personal touch does not do any good to the business prospects. If you show your appreciation to the clients that will make them happy and bring you quality business which even a thousand banners can not bring. So in order to show sincere appreciation to the clients thank you cards are best tools for the businessmen. As A Token Of Respect: You can show respect to your clients through the simple and affordable means of a thank you card. It doesn’t take much time to list down the names of the clients and then send them a token of appreciation. It will make the customers believe that they are your treasured clients and special attention is paid to their work. They will also not think of switching from your service. Such greeting cards also create a humane picture of the company and you are identified not just by the products or services you deliver. Respecting and appreciating your client’s will be more potent than sending brochures or booklets promoting your business. Personalized Cards: Do not go for flashy designs while choosing a thank you card. Write words and sentences specially for the client. You can start off by addressing the client as dear and then go on to describe his/her project type and the work that has been done. These things will make the recipient feel special. Except Holiday Occasions: All the companies send thank you cards along with newsletters after an occasion. Thus this has become a common practice. Think out of the box! Send a thank you card after a a client has taken your service for a specific time period. Customize the Cards: Always get the thank you cards printed from a professional printing service provider such as PrintPapa. The thank you cards are generally hung up on the walls and thus they will draw attention. Choose high quality paper while selecting the card and use customized envelopes while sending them. This entry was posted in Marketing on February 5, 2018 by Shawn Nag. 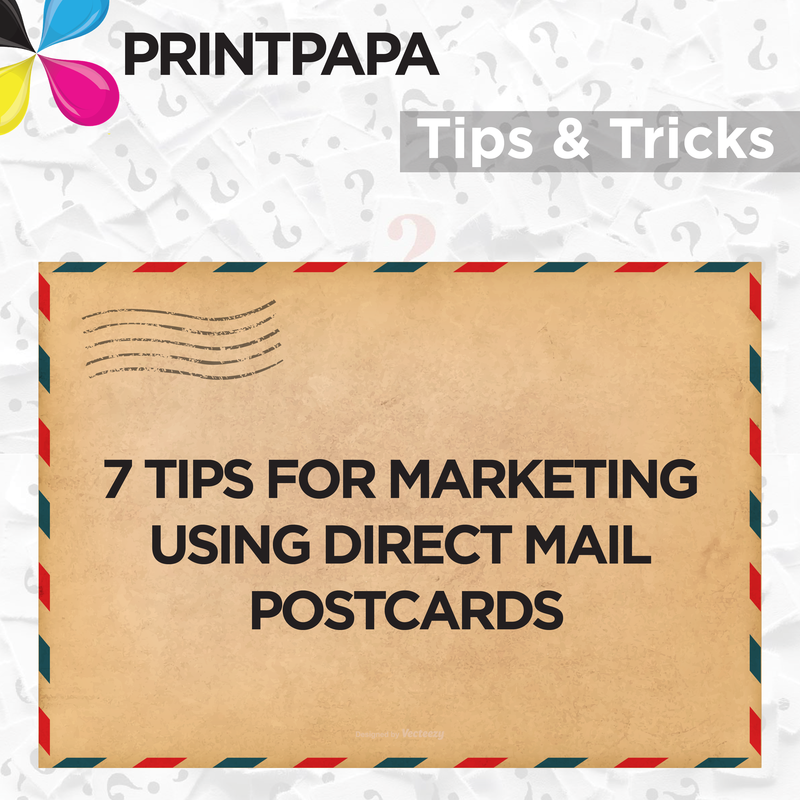 Summary: To get smart tips on direct mail marketing, kindly keep reading this article. Despite the market being flooded with so many forms of online advertisement mediums – Google Adwords, Facebook Ads, Twitter promotions etc. people forget about the simplest form of marketing that is direct mail postcards. I have been using this method to promote our printing company for past 15 years and it is one of the simplest and has given me the best ROI. It is still on the top 3 list of my marketing methods as of 1/19/2018!. By the way – just a quick thought, even before Google – Direct Mail Postcards & Newsletters were the most popular marketing methods. So it’s been around for a while and NOT going anywhere. When people tell me that “Print Is Dying” – i can’t help think “Then how come my print volume on Direct Mail Postcards is going up every year?” Hhm! Something to think about..
Anyway….So, What Do You Need For Direct Mail? A very catchy message or promotion. A relationship with a good print company which has a mailing department in-house to get the job done. Someone like PrintPapa (Haha…promoting my company). Lots of print shops outsource the mailing part and just make profit. I am not a big fan of that as i firmly believe that in order to get the best pricing and service – it has to be done in one place. Ok…now time for the 7 Tips you came for. Let’s dig in! TIP 1: Know who to Target and go after them. Direct mail postcards should be highly targeted, i.e. narrow down your audience based on product or services you want to promote. For example, if you are a pizza shop, then it makes more sense to target all homes closest to your shop (1 mile radius) than doing ones which are 5 miles away. I prefer EDDM for these kind of scenarios, will explain in another article. OR if you are a real estate agent specializing in a zip code – send your mailer to homes in that zip code. OR let’s say you run a Ethnic Grocery store for e.g. a Indian Grocery store – target the Indians first and obviously target the homes closer to your shop. Don’t go and send a mailer to someone living 5 miles away and isn’t Indian. Makes sense. Simple right!! I am sure you don’t have unlimited flow of Benjamins. So target, be focused and it’ll work. For example, we have a campaign where we send Postcards with our products and services which every Retail Shop will need. For example, Business Cards, Flyers, Brochures, and Banners to all Shops within a X mile radius. So what is X? X is based on the number of addresses i get based on our budget. Lets say I get 1000 addresses in a 1 mile radius and my budget is to send 1000 postcards then that’s what I’m going to do. Why focus on an addresses 2 miles away? It’s happened so many times that people try to save few bucks on getting a mailing list, instead they go for an old outdated list or they waste their time scrapping mailing addresses from the web or from phone books. Time to STOP!!! To get a proper mailing list with all the filters and criteria I would recommend contacting a mailing list provider. We use infousa.com for all our mailing lists and that is what I recommend to all our customers. You can use their online site to filter out a list based on zip code, income, number of people in household, etc. I like calling them and talking to a live person – telling them what I need and they will help you out and even give you a discount (make sure to say PrintPapa referred you!). 11 inch wide and 6 inch height. You must be thinking why? Isn’t a smaller size cheaper and cost less? 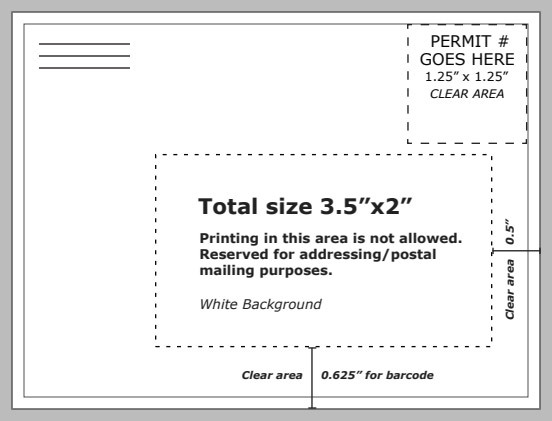 11×6 is the biggest size you can mail at the standard bulk postage rate by USPS. Anything bigger than this size will go as a Flat rate and will cost roughly 70% more in postage. So anything from a postcard size (6×4 inch) to 11×6 gets the same postage rate. Hhm!! Make sense to take advantage of the extra space for your message, right!? Printing does not cost much, its the Postage that costs the most. So make the biggest impact by printing a 11×6 postcard size as it will cost the same to mail as a small 7×5 size. 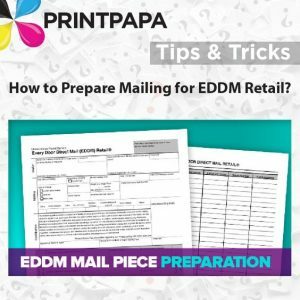 Check out this link (http://www.printpapa.com/eshop/pc/Direct-Mail-Postcard-11×6-971p13513.htm ) where you can get instant pricing and a quote for sending a direct mail postcard 11×6. By the way – this is the only size i have sent all our PrintPapa mailers for the past 12 years. If you have received our PrintPapa mailer – check the size so you can get a better look and feel of the 11×6. 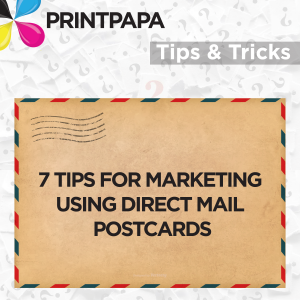 TIP 4: Send Postcards to your existing Customers. You will get the Best ROI. Period!! Get the highest ROI by keeping in touch with your customers via Direct Mail Postcards. They know you, they trust you which is key to loyalty. They will stop for a second before they toss of the mailer in the garbage. Think about it. So if you have NOT been collecting addresses from your customers – stop reading further and start doing that right away. We used to have a Retail Shop called Postnet (similar to UPS stores) long time back and we used to have a form where we would ask every customer to fill it out and we would give them a 10% off loyalty card. That was our way of generating a mailing list of all our customers. 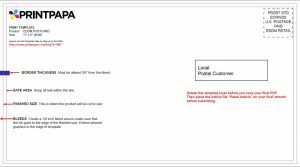 Since then at PrintPapa we have been sending Direct Mail Postcards to all our active customer on a monthly basis and we give them a special offer and thank them for their business. We’ve been doing this for past 5 years and it’s been a great success! Grab the attention of your customers with information like – “Come see why our service has been rated 5 stars” “Avail now to get flat 20% off!” or “We provide 100% guarantee on all our products!” Also, include something such as a FREE sample product, a pouch, or even a pen can work wonders for you. Having a call to action like “Call Now to get 20% off” or “Visit this Website and fill out the form and get a FREE T-Shirt” should be a must on every postcard. This way you can collect their information and have your sales team contact them in a few days. 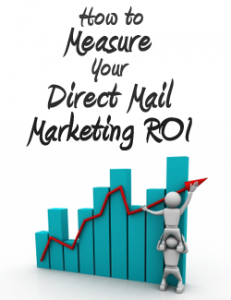 Want to know how yo measure the ROI (return over investment) of your postcard campaign? Well, just track the call to actions, i.e. the inquiries made or coupons redeemed after the campaign has been done. Generate special coupon code for each campaign so that you can track how it went. TIP 7: If you’re only going to do it once, you’re better off saving your Money. 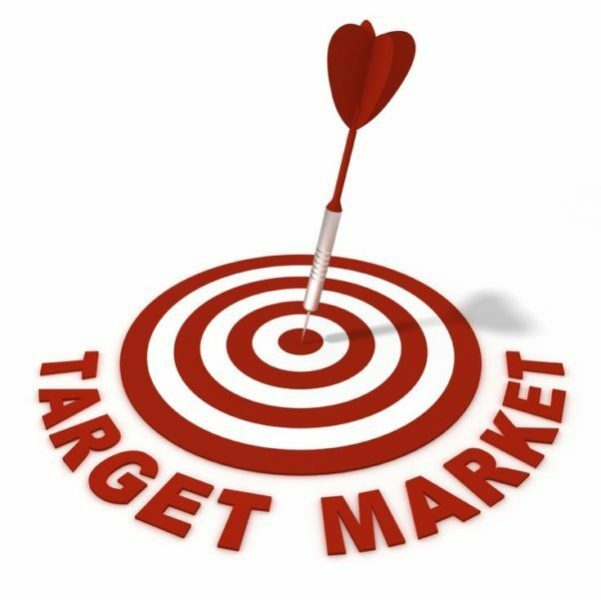 The conversion rate for direct mailers is around 1% to 3% for new prospects and 8%-10% for existing customers. But that is not going to happen if you just do one campaign. The industry standard is 6 times before you start seeing the benefit. Plan and set the budget for at least 6 mailers and you’ll notice a great, long-term effect on your business. Trust me, I have given these same 7 tips to many of my customers and they have all benefited from it. Shawn Nag is the owner & founder of PrintPapa – a premier Printing Company located in Santa Clara, California. To know about the advantages of direct mail postcards and catalog printing California, read his articles. This entry was posted in Marketing on January 23, 2018 by Shawn Nag. Every Door Direct Mail – Retail® service from USPS® is an efficient and affordable way to reach every customer in your neighborhood. Using the USPS EDDM online tool helps you locate your target neighborhoods and shows you how many customers you can reach. If you already use Every Door Direct Mail and you have a USPS business account, simply enter your user ID and Password. If you are a first-time user, you’ll be prompted to create a new USPS.com® or Business Gateway account to get started. The online tool helps you choose your targeted mailing routes by address, city, state, ZIP Code™, or up to a 5-mile radius around your business. You can even use street names or intersections as your target area. Next, you will be prompted to generate and print out the appropriate documentation and facing slips to take with your mailing to the Post Office™. The tool identifies the number of active residential and business addresses in your target areas to estimate postage costs based upon print quantities. You’ll have an opportunity to pay online with a credit card or you can always pay in person at your local Post Office with cash, check, credit/debit card or meter strip. Once you’ve identified where your mailing is going, you can place the print order with us. Visit the EDDM Postcard section on our website and choose the size you want to send. 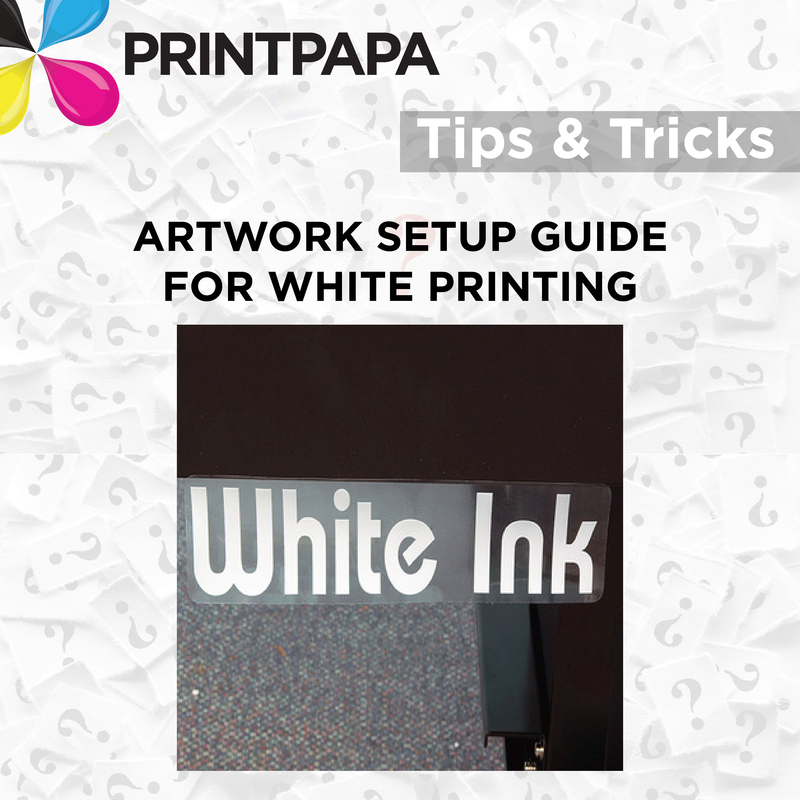 You can then download the guideline template and create your artwork. 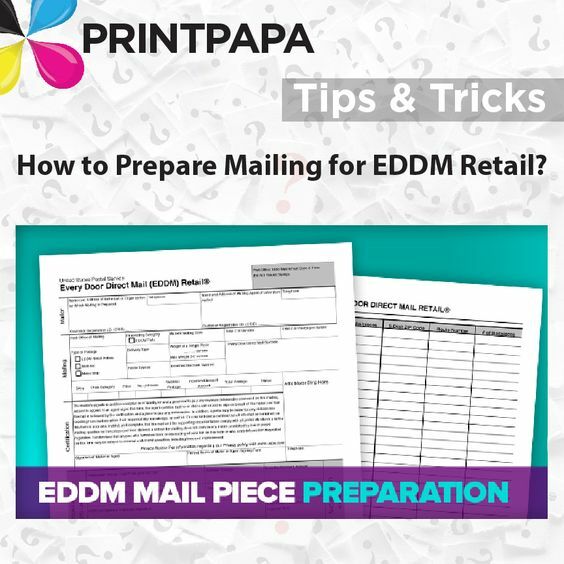 Be sure to check the approved specifications for Every Door Direct Mail, including sizes, address formats, and the approved Every Door Direct Mail – Retail Indicia (required on each mail piece). We provide an option to prepare the mailing for you for an additional charge. If you select this option we will prepare the mailing and ship it directly to you or you can pick up. 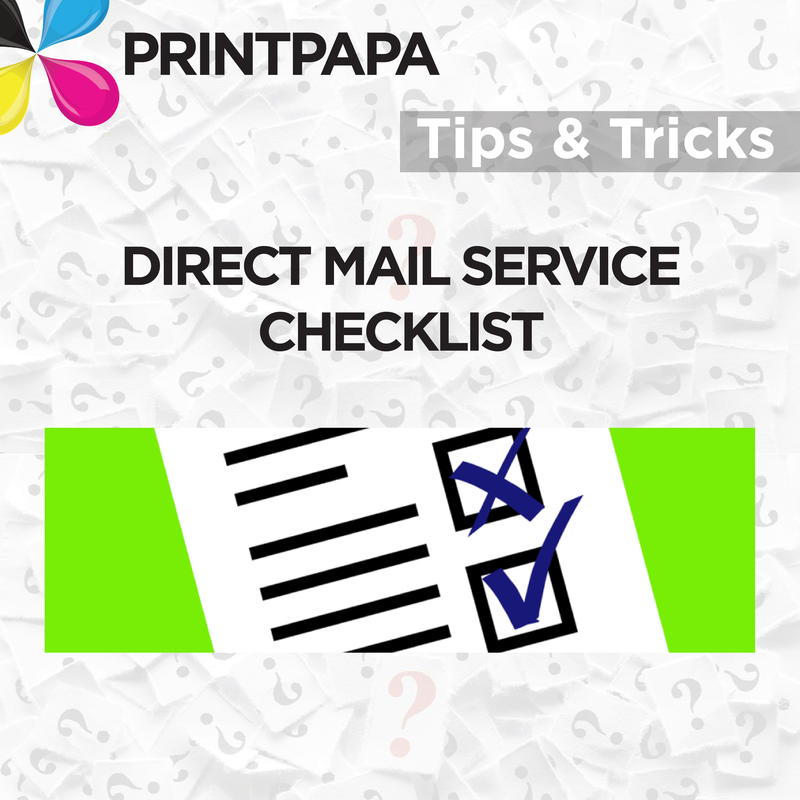 You will then deliver & pay for postage to the Post Office listed on the mailing report you created in Step 2. If you select the option “Customer to Prepare the Mail” then we will just print the postcards and ship it you. You will have to prepare the mailing and then deliver/pay for postage at the post office listed on the mailing report. Preparing the mailing is very simple process all you have to do is simply take the printed postcards in bundles of 100 pieces (with facing slips attached and the mailing statement you created using our online tool) to your local Post Office. If you did not make your payment online, you will need to pay at the Post Office with cash, credit/debit card, meter strip, or check. This entry was posted in Marketing on January 19, 2018 by Shawn Nag. #1) A full sheet of paper (front and back) – Flip through a magazine and you only need to turn a single sheet of paper to see more content. As a result, some people call a sheet of paper a “page” even though there’s artwork on both sides. #2) 1 side of a sheet of paper (front only, back only)- This is more in line with our thinking process. A book, magazine, catalog, etc. usually presents pages as one side of a piece of paper. Notice that when you read a novel, each side of a piece of paper contains a page number in sequential order. #3) 1 double sided spread- We’ll define spread shortly but for now let’s just say that we tend to hear designers refer to an individual spread sheet as a page. Do covers count as pages? Yes indeed! Here’s the funky part—as I said above, we count 1 side of a piece of paper as a page. Since you have 2 double sided parts to your cover (front and back), your cover counts as 4 pages! The front side of the FRONT cover is page 1, the backside of the FRONT cover is page 2, front side of the BACK cover is page 3, back side of the BACK cover is page 4. How do I count the number of pages in my catalog? The answer depends on your binding option, which we’ll discuss in a bit. For now, I’m going to assume that your catalog will be bound with staples (aka saddle stitched) because that’s the most popular method. 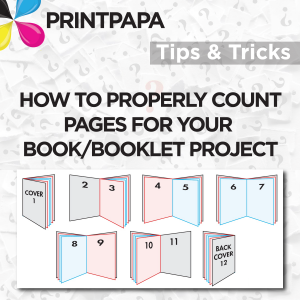 If you check the catalog or booklet product pages on our site, you’ll notice that the minimum page count starts at 8 pages, 4 for the cover and 4 inside. Click on the drop down menu and the page options increase by multiples of 4 (12, 16, 20, 24, etc.) because of the way the pages are physically laid out on paper. A set of pages viewed together, such as the 2 pages visible whenever you open a book or magazine. If you’re still having trouble, grab a magazine. Open it anywhere and you’ll see two pages on either side of the fold in the center. 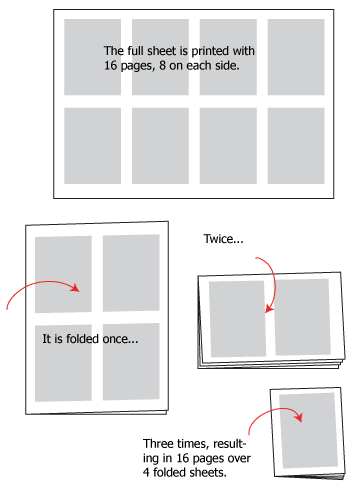 Each page is part of a single spread it shares with 3 other pages! While we’re on this subject, I want to make a quick note about reader’s spread vs printer’s spread. You see pages in a newspaper, paperback, etc. in numerical order, otherwise known as reader’s spread. But that’s not an accurate reflection of the printing process. We arrange your pages on the spread sheets as part of the prepress procedure; however, here’s the kicker— we have to print the pages out of order on said spread sheets so they appear in the proper sequence after they’re folded. The crazy way we go about putting the ink on the paper so you don’t end up reading gibberish is called printer’s spread or imposition. Don’t panic, we don’t expect you to submit your files in a printer’s spread. We prefer individual pages with bleeds in sequential order. Why can’t you print a saddle stitched “stapled” catalog with an odd number of pages? 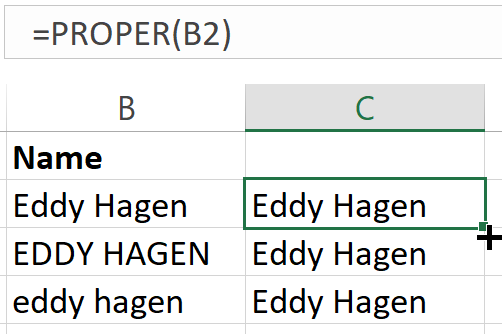 This question goes back to the previous answer about pages coming in multiples of 4. So an odd number of pages (like 9 or 11) or an even number of pages that’s not a multiple of 4 (like 6 or 10) presents a problem. We can print a 9 page catalog (that’s 9 pages of content excluding the 4 cover pages) with side staples, but you’ll end up with 3 blank pages. Why? In order to fit that last page in, you’d have to order a 16 page product to get 12 internal pages (remember the cover takes up 4 of those pages)! You can live with a blank page at the end and order a 16 page catalog with 12 inside pages. I’d go with option #3 because there’s no extra charge for the 3 additional pages. You’re already paying for the paper and printing; why not include more in your design? Besides, you probably designed that 9th page for a reason. Scrapping it doesn’t make sense unless you’re on a super tight budget. Ok, binding brings a whole new level of complicated into the mix. Our standard options for business catalogs and booklets DO NOT include wire binding, although we offer this type of binding on short run catalogs & short run booklets. The main difference is that we don’t have to work in multiples of 4 with wire-o binding. The spreads have to be cut in half and bound with wiring, which means we work in multiples of 2 instead of 4. 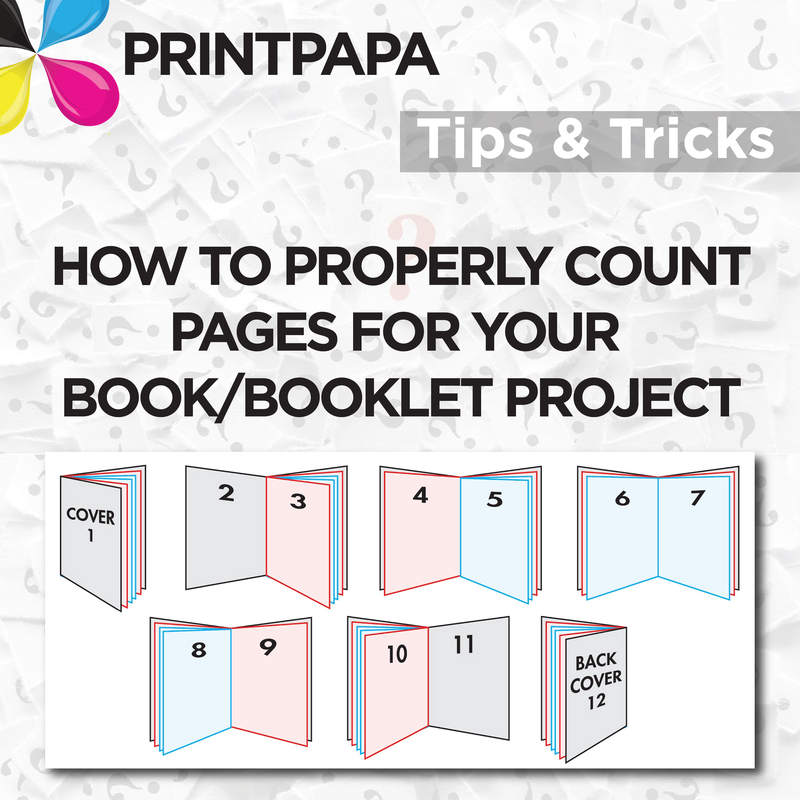 The information on our website shows the page counts in 4s, yet we can make you a catalog with 10 inside pages without leaving anything blank (the total number would be 14 pages with the cover though). This entry was posted in Marketing on January 18, 2018 by Shawn Nag. 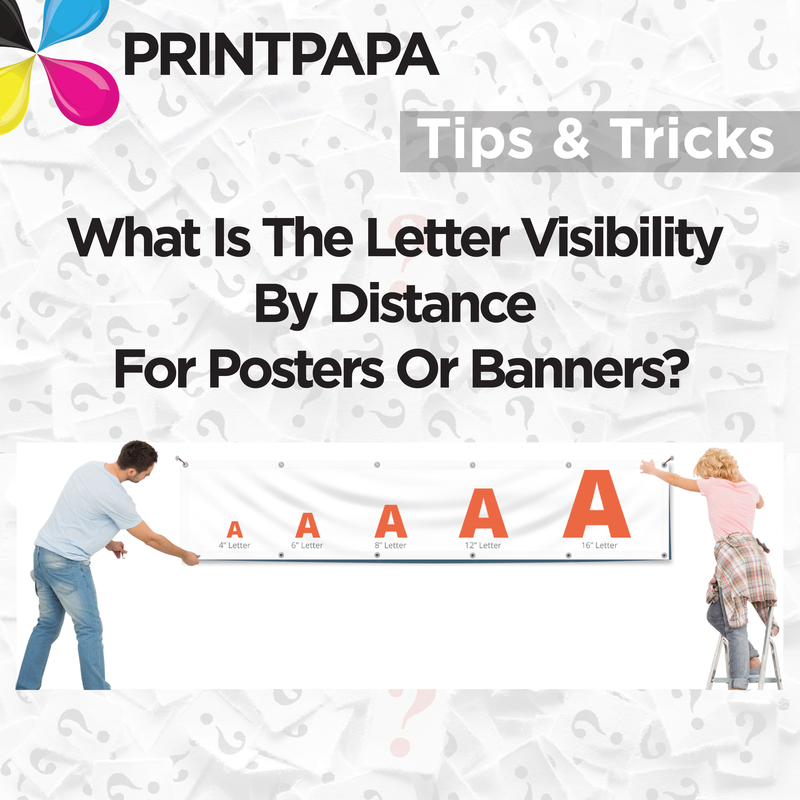 Tip – What Is The Letter Visibility By Distance For Posters Or Banners? Ever wonder if your text size is too small for traffic to be able to read your message? Most folks either cram too much small text or overcompensate and enlarge the text too much. 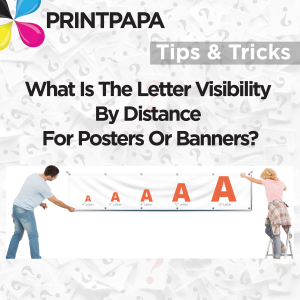 Luckily, you found our Letter Visibility Chart to help you determine the best size for your text based on distance you are trying to accommodate for. 3 in. 30 ft. 100 ft.
4 in. 40 ft. 150 ft.
6 in. 60 ft. 200 ft.
8 in. 80 ft. 350 ft.
9 in. 90 ft. 400 ft.
10 in. 100 ft. 450 ft.
12 in. 120 ft. 525 ft.
15 in. 150 ft. 630 ft.
18 in. 180 ft. 750 ft.
24 in. 240 ft. 1000 ft.
30 in. 300 ft. 1250 ft.
36 in. 360 ft. 1500 ft.
42 in. 420 ft. 1750 ft.
48 in. 480 ft. 2000 ft.
54 in. 540 ft. 2250 ft.
60 in. 600 ft. 2500 ft. This entry was posted in Marketing on January 12, 2018 by Shawn Nag. Name it “mailing.xls”. 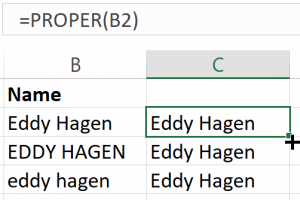 Save the file in Excel (preferred) or CSV file format. Upload this address file along with your artwork after you place the order. The Address block on your postcard should be white and is as per the USPS guidelines shown below. 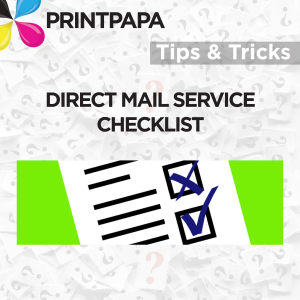 Make it Easy: Refer to the TEMPLATE section of the product you are ordering the Direct Mail Services, and download the mailing template to set up the address part. Don’t run Short: Order at least 50 more than your mailing list count. For example, you have 1000 addresses in the mailing list then order the next quantity greater than 1000. OR cut down the address list by at least 50 to account for wastage. Sorry, we will not process the order if your list contains more addresses than the number of mail pieces you ordered. Remember! Add 2 extra production days for mailing. This is in addition to the turnaround time you have selected. Pay For Postage: Postage Payment is added based on the service you select (Standard or First Class). For standard products like Postcards and Folded Mailers, postage is added via the Instant Calculator. For custom jobs we will process the mailing list and you will be notified about the postage amount & pay online. Mail Some and Ship Back Left Overs: Currently our instant calculator cannot handle these requests. Mail All, Recycle Left Overs: If you do not specify to ship your extras to you, we will recycle the left overs at no charge. This entry was posted in Marketing on January 11, 2018 by Shawn Nag.